Even with air conditioning, it's been down right warm this week! Between naps Mitzi's been busy chasing squirrels and birds away from the loaded apple, peach, and fig trees. As for the humans, we've been working on samples for the fall quilt shows and of course, adding new items on www.UnBiasedFabrics.com. Here's a sampling of new products; hope something catches your eye! 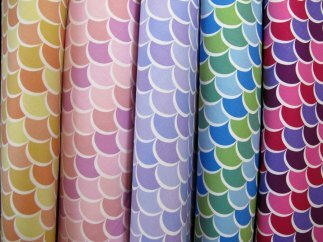 This new division of David Textiles brings us these wonderful multicolor scallops. Rachael Gander of Imagine Gnats designs easy to make, versatile and very wearable patterns. 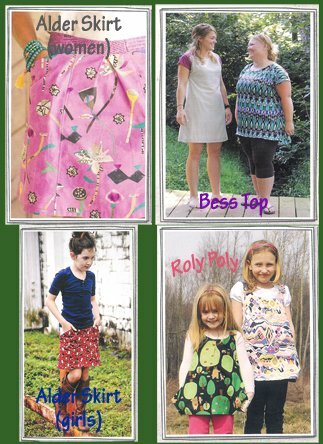 We are so happy to add The Alder Skirt for both Women and Girls, the Bess Top/Dress for Women, and the Roly Poly pinafore tunic for girls to our pattern line-up. Click on the photo to see all the Imagine Gnats patterns in stock. 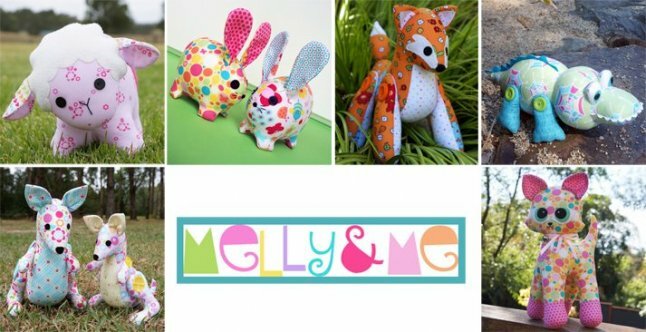 Awesome cute toy patterns from Melly & Me! 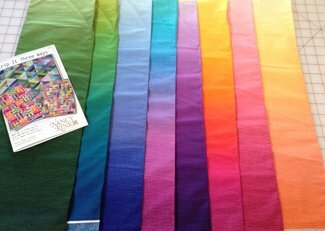 Auditioning ombre fabrics to make a couple of quilts for fall shows. I'll share my progress on the next newsletter.